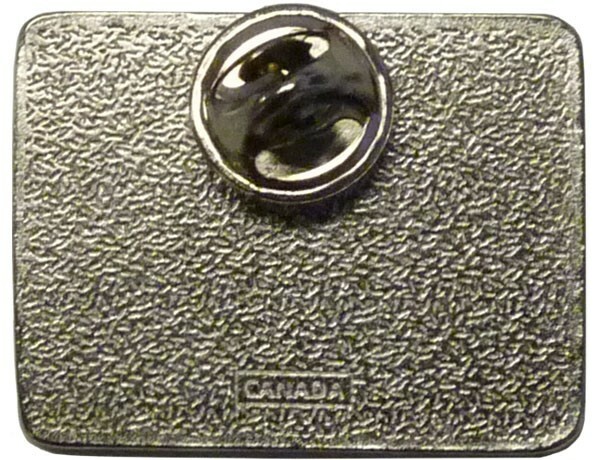 Size: 1" x 1.25". Butterfly clasp. 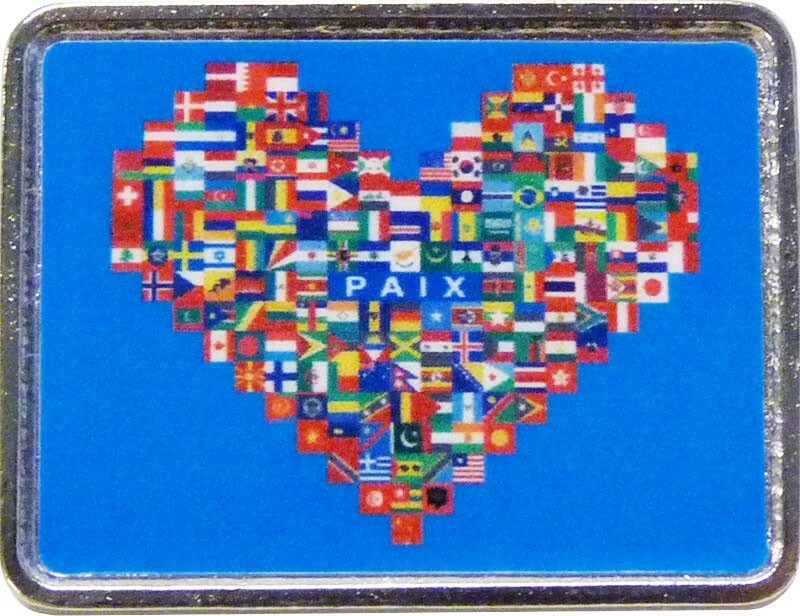 World Peace Lapel Pin, French version. The heart shape is made up by international country flags, with the wording "PAIX" in the centre. 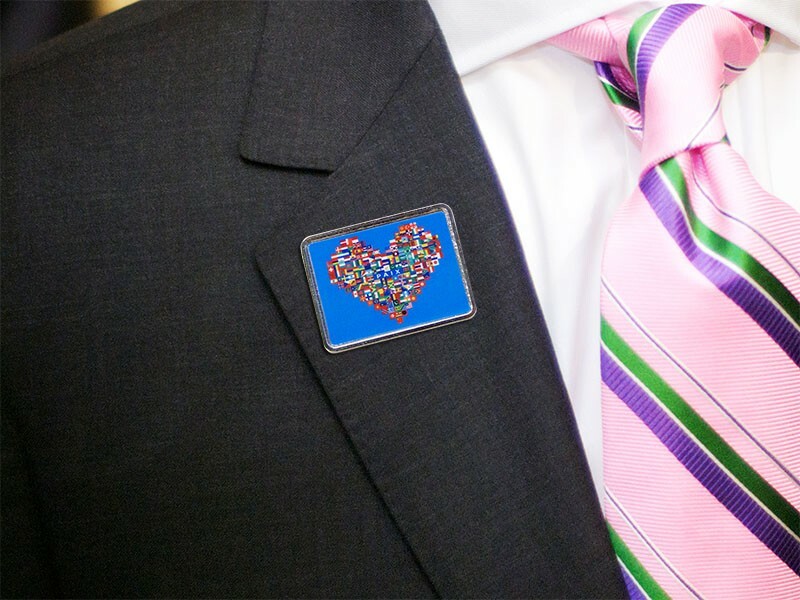 - Size: 1" x 1.25"
1" x 1.25" World Peace Lapel Pin, English.